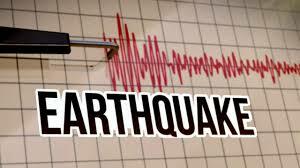 JAKARTA –A shallow 5.1-magnitude earthquake rocked Indonesia's Sulawesi island on Tuesday, the US Geological Survey said. The quake struck 11 kilometres (seven miles) east of Mamasa in west Sulawesi at 2:35 am (18:35 GMT), according to USGS. No tsunami warning was issued.It comes after a 7.5-magnitude quake and a subsequent tsunami razed swathes of the city of Palu on Sulawesi island on September 28. The disaster killed more than 2,000 people and displaced more than 220,000.Indonesia, one of the most disaster-prone nations on earth, straddles the so-called Pacific "Ring of Fire", where tectonic plates collide and many of the world's volcanic eruptions and earthquakes occur.